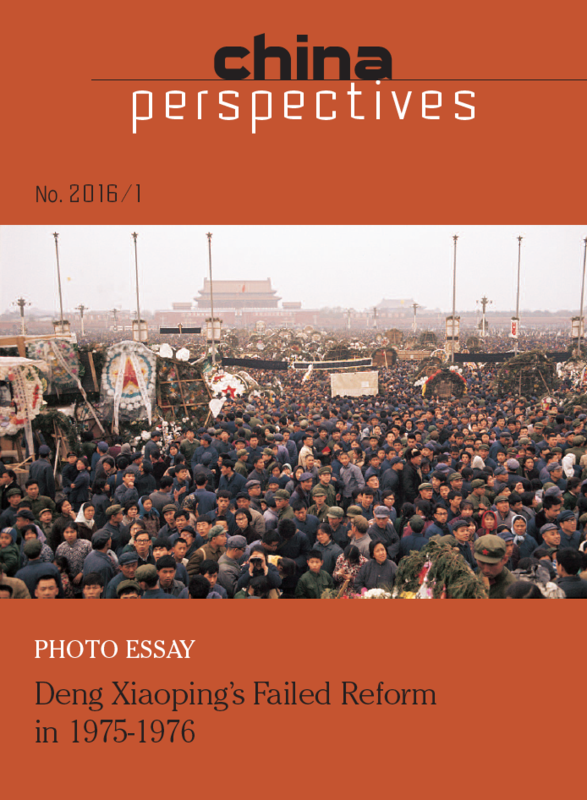 The last issue of China Perspectives provides a rare and previously unreleased photo essay that narrates and illustrates the struggles and political campaigns carried out in Beijing between 1975 and 1976 and which reached their climax with demonstrations gathering at least two million people on Tiananmen Square within the first few days of April 1976. David Zweig’s photo essay “Deng Xiaoping’s failed reform in 1975-1976,” also constitutes a particularly vivid illustration of the techniques of mass-mobilization used by the CCP since the 1940s, as well as of the ability of the citizens of Beijing to demonstrate their support for continued reform in China. It is also a vivid reminder of the centrality of Tiananmen Square in China’s modern political history. Prof. David Zweig is Chair Professor, Division of Social Science, and Director, Center on China’s Transnational Relations, HKUST. He is Senior Research Fellow, Asia-Pacific Foundation of Canada; Adjunct Professor, National University of Defense Technology, Changsha, Hunan; and Vice-President, Center on China’s Globalization (Beijing). His Ph.D. is from The University of Michigan and he was a Postdoctoral Fellow at Harvard University. He was a Canadian exchange student in Beijing, 1974-76 and a Visiting Scholar at Nanjing University (1980-81, 1986,1991-92). He authored four books, including Internationalizing China (Cornell Univ. Press) and a new edited book, Sino-U.S. Energy Triangles: Resource Diplomacy under Hegemony, with Hao Yufan (Routledge). Recent articles include “Overseas Students, Returnees and the Diffusion of International Norms into Post-Mao China,” with Feng Yang, International Studies Review (Fall 2014), and “Can China Bring Back the Best? The Communist Party Organizes China’s Search for Talent,” with Huiyao Wang, The China Quarterly (September 2013). In 2013, he received The Humanities and Social Sciences Prestigious Fellowship, Research Grants Council of Hong Kong, and in 2015 received a grant from the RGC to study reverse migration of entrepreneurs and academics in India and Turkey. Dr. Wang Ai He is the associate professor of the School of Chinese, University of Hong Kong (HKU). Her research interests are fields of Chinese history and anthropology, with topics ranging from ancient cosmology and political agency, to art, subjectivity, and community in Mao’s China. Representative publications include Cosmology and Political Culture in Early China (Cambridge University Press, 2000, 2nd edition 2006) and the Wuming (No Name) Painting Catalogue, 13 volumes (Hong Kong University Press, 2010). In 2013, she was a residential member of the Institute for Advanced Study in Princeton, working on a book project on underground art during Mao’s Cultural Revolutions. Prof. Michel Bonnin is directeur d’études at EHESS, Paris and an associate researcher of CEFC. He was also the founder and first director of CEFC. He researches on contemporary Chinese history, especially the period of Cultural Revolution, democratic movements in China, young intellectuals (zhiqing) and peasant-workers (nongmingong) etc. His recent publications includes The Lost Generation. The Rustication of China’s Educated Youth (1969-1980) (The Chinese University Press, 2013) and Shiluo de yidai. Zhongguo de shangshan xiaxiang yundong, 失落的一代﹣中國的上山下鄉運動 1968-1980 (The Chinese University Press, 2009). Dr. Eric Florence, director of CEFC, chaired the seminar.